Black with colorful embroidery. High waste fit- kinda cheeky. 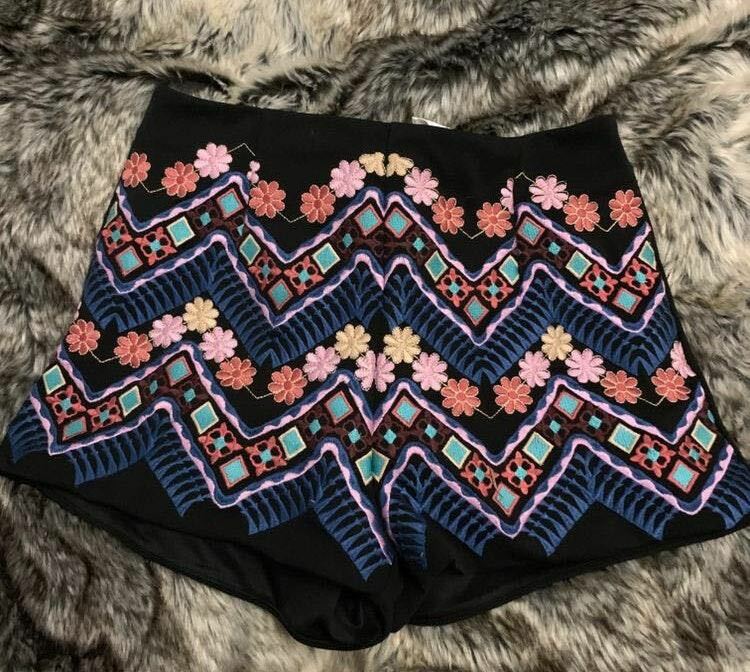 Super cute and never worn!